Women’s Legal Group to Support Appeal in Area Child Abuse Case | Michael A. Ventrella, Esq. When Krystal Surovcik agreed to testify against her husband, Travis Surovcik, about his role in the abuse of their now 2-year-old son, she was under the impression that charges against her would be dismissed. Prosecutors apparently went back on their word and refiled charges against the Tobyhanna Township woman, saying there was evidence she played a larger part in what happened to baby Jake Surovcik. Now, more than a year later, a jury has convicted Krystal Surovcik of endangering her child’s welfare, an offense more severe than the charges to which her husband previously pleaded guilty. “I’m frankly astounded at the jury’s verdict,” defense attorney Mike Ventrella said Friday after the nearly four-hour deliberation following the one-and-a-half-day trial. “When people hear the word ‘child abuse,’ they get so upset they cast a wide net,” Ventrella said. “They err on the side of finding the other parent guilty if the first parent has been convicted. The defense told the jury of seven men and five women not to believe Travis Surovcik, who said he lied when pleading guilty to charges in order to protect his wife from going to jail. Ventrella cited the fact that Travis Surovcik later stole a television while awaiting sentencing after pleading guilty. Ventrella said there was no evidence showing Krystal Surovcik treated the baby with anything other than love and that her husband was controlling and violently jealous because he felt the baby was getting all the attention. She herself testified to regretting her mistake in staying with him and keeping the baby in the same house. Assistant District Attorney Michael Rakaczewski said prosecutors are happy with the verdict. Surovcik was charged with endangering a child’s welfare, reckless endangerment and simple assault. Her husband pleaded guilty to reckless endangerment and simple assault in January 2005. Prosecutors said she either abused her son herself, or knew he was being abused and did nothing to stop it. Her in-laws testified she was the one who was controlling and violent toward her husband. Both sides noted that Travis and Krystal Surovcik each had no prior criminal record. But, there will be no closure for Surovcik until she wins the fight to regain custody of her son from Monroe County Children and Youth Services, which has placed the child with her in-laws. That fight has been made harder with her conviction. Krystal and Travis Surovcik declined to comment after the verdict. Travis Surovcik has an older son, James, from a previous relationship. On March 30, 2004, Travis and Krystal dropped Jake then just weeks old and James then 18 months old off at the home of Travis’ parents, Joseph and Nancy Surovcik, in order to enjoy some time alone together, according to testimony. Nancy Surovcik was changing Jake when she noticed his arm was red, swollen and at an odd angle and that it was warm to the touch. A doctor from Geisinger Children’s Hospital in Danville testified this was due to the baby’s arm being broken, saying the warmth came from internal bleeding. Nancy Surovcik called her husband, who at the time was on his way home from work, and told him to come straight home as quickly as he could. When he arrived, she showed him the baby’s arm. When Travis and Krystal returned, they were asked what happened to the baby’s arm. Krystal said she had noticed the redness, but not the swelling. Travis really didn’t have an answer at the time, but later told police his older son might have done it. Doctors said this was physically impossible. Travis also told police Krystal might have done it and at one point said Krystal blamed it on his mother because she felt his mother never liked her. Travis Surovcik, who suffers from stress disorder, had lost his job and become the primary stay-home caregiver. It was during this period when bruises started showing up on the baby. Doctors said the injury to the baby’s arm occurred within 72 hours prior to being discovered, but the couple said they noticed nothing out of the ordinary with the baby’s arm during that entire period besides the redness. Two days prior to Nancy Surovcik discovering the injury, Krystal Surovcik called home. Travis picked up the phone and she heard the baby screaming in the background before he hung up. After the injury was discovered, Joseph and Nancy Surovcik said Jake needed to go to the hospital. Krystal and Travis took him in their car to Pocono Medical Center. Joseph and Nancy followed them because they didn’t trust their son and daughter-in-law would take the baby to the hospital. Travis and Krystal arrived at the hospital and took the baby in to see doctors before Travis’ parents arrived. When his parents got there, he met them outside and tried to keep them from going in, telling them Krystal was upset and didn’t want to see them. He said he wasn’t going to let her take the blame and go to jail for what happened. He said she couldn’t handle jail and would kill herself. Pocono Medical Center transferred the baby to Geisinger, where more broken bones and unexplained bruises were found. Children and Youth later took custody of the baby and eventually placed him with Travis’ parents, where his health seemed to improve. Travis and Krystal were charged in July 2004. Krystal agreed to testify against Travis at his preliminary hearing in return for charges against her being dismissed. She testified, the charges against her were dropped and Travis pleaded guilty in county court in January 2005. By that time, with Travis again unemployed and no money coming in, the couple had fallen behind on their rent. Travis stole a television and brought it home. He said he and Krystal had worked out a plan in which he would plead guilty to the theft, she would get the baby back and that everything would be fine when he returned from jail. It was the defense’s position that Travis, while in jail, became angry at Krystal for some reason and told police and prosecutors that she had a larger role in what happened to their baby. Prosecutors refiled charges against her in June 2005. Rakaczewski in his closing statement said, “When you use deductive reasoning to eliminate all the improbable scenarios, what you’re left with has got to be the truth. “Nancy and Joseph Surovcik didn’t hurt the baby,” he said. “They were cleared by police and Children And Youth. Travis’ older son didn’t hurt the baby because doctors said it’s physically impossible for a child that age to cause such injuries to a younger child. “That leaves Travis and Krystal, and Travis has already admitted his guilt,” he said. “If doctors say Jake’s arm was broken within 72 hours prior to the injury being discovered and if Travis and Krystal were the only two with him during most of that period, then wouldn’t Krystal have noticed something more than just redness, as she says she did? “How can she, as concerned as she says she is, not notice anything?,” he asked. Krystal Surovcik will be sentenced sometime in October. Ventrella said she plans to file an appeal. Despite a jury foreman saying he made a mistake in convicting her, a Tobyhanna Township woman was sentenced Monday to four to 23 months in Monroe County Correctional Facility for endangering the welfare of her now 2-year-old son, whom her husband abused in March 2004. Prosecutors told Krystal Surovcik, 23, they would not charge her if she agreed to testify against husband Travis Surovcik, which she did, but they charged her anyway in June 2005. The District Attorney’s Office at the time said there was new evidence suggesting Krystal Surovcik had greater culpability in what happened to her son, Jake. Defense attorney Michael Ventrella, who is filing an appeal in state Superior Court, said there is no evidence showing Surovcik treated the baby with anything other than love. Ventrella said her husband was violently controlling, jealous and felt the baby was getting all the attention. Surovcik herself said she regrets being too scared of her husband to get herself and their son away from him sooner. Travis Surovcik said at his wife’s trial that her filing for divorce had nothing to do with his admitting his guilty plea was a lie. His family, who has supported him from the start after discovering the baby’s injuries in March 2004, said his wife was the one who abused him and the child. Now, her conviction and subsequent sentencing have made it that much harder for Krystal Surovcik to regain custody of her son from Monroe County Children And Youth Services, which has placed the baby with her in-laws. “She trusted her husband and then trusted the justice system and was let down by both,” Ventrella said. Dayton Miller of Price Township, the foreman of the jury that convicted Surovcik in September, appeared at her Monday sentencing and asked the court not to punish her for a mistake he made. “I’m speaking for only myself and not for the other jurors,” Miller later said. “I voted the way I did because I and the rest of the jury at the time had to rely on just our memories of the definitions of the charges against the defendant. Miller now says he isn’t convinced that Assistant District Attorney Michael Rakaczewski proved Surovcik endangered her son’s welfare by keeping the baby in the same house with an abusive husband. Monroe County Court Judge Art Zulick said the law does not allow the court at sentencing to consider the issue of a juror saying his or her vote on a verdict was a mistake. “Well, I plan to raise that issue as part of my appeal,” Ventrella said. PHILADELPHIA — An organization fighting for women’s legal rights plans to join the appeal of a Tobyhanna Township woman sentenced for endangering her infant son. Krystal Surovcik, 23, was sentenced Monday to four to 23 months in Monroe County Correctional Facility for letting her son Jake, now 2, stay within reach of her husband, who abused the baby. Surovcik’s attorney, Michael Ventrella, is filing an appeal in state Superior Court. “We became aware of this young woman’s situation and contacted her attorney because we’re very concerned,” said Terry Fromson, managing attorney in the Philadelphia office of the Women’s Law Project http://www.womenslawproject.org. “As far as I know, this is the first time during my years with the project that we’ve taken interest in a Monroe County case,” Fromson said. Founded in 1974, the project is staffed by attorneys specializing in women’s rights and gender equality. In a case such as Surovcik’s, where a female defendant is appealing a judge’s ruling in a higher court, the project submits its own brief to the court in support of the appeal, Fromson said. Krystal and Travis Surovcik were charged with child abuse after Travis’ family discovered the baby’s injuries in March 2004. Krystal denied abusing the baby herself, but said she was too scared of her jealous, controlling husband to get herself and their son away from him sooner. She agreed to testify against Travis in return for charges against her being dismissed. She did so, after which Travis pleaded guilty and served the minimum six months of his sentence in Monroe County Correctional Facility. According to Ventrella, Travis later learned Krystal was filing for divorce, became angry and told authorities she had a greater part to play in what happened to their baby and that he took all the blame to protect her. Travis denied this, saying Krystal seeking a divorce had nothing to do with why he shared the information with authorities. Either way, the District Attorney’s Office refiled charges against Krystal Surovcik, saying there was new evidence she had more to do with the baby’s condition. Her case went to trial and a jury in September convicted her of endangering her son. At her Monday sentencing, jury foreman Dayton Miller told Judge Art Zulick he made a mistake when he voted to convict Surovcik. Miller said he didn’t fully understand the definitions of the charges against Surovcik and their penalties, otherwise he would have voted to acquit her. Zulick said a juror admitting a mistake on a verdict vote has no bearing on a sentencing proceeding. Surovcik is now fighting to regain custody of her son, which Monroe County Children and Youth Services placed with her in-laws after she was first charged, while trying to clear her name. Defendant’s rights under Pa.R.Crim.P. 600 were violated because she was brought to trial more than 365 days after filing a criminal complaint and the commonwealth did not exercise due diligence. Reversed. Defendant and her husband were charged with crimes arising out of physical abuse of their children. Defendant cooperated in the investigation of her then-husband, and in return the Commonwealth dropped the charges against her. After a preliminary hearing in her husband’s case, the Commonwealth re-filed against Defendant. Defendant filed a motion to dismiss pursuant to Pa.R.Crim.P.600, maintaining that the time within which her trial should be calculated from the date of the original complaint. The trial court dismissed the motion and later found the defendant guilty. Defendant appealed. The Superior Court said that the trial court properly concluded that the Commonwealth lacked intent to evade the time constraints of Pa.R.Crim.P.600, but it held that the charges should be dismissed because the Commonwealth did not act with due diligence. The Superior Court disagreed that the time should run from the re-filing although the commonwealth argued that after withdrawing the original complaint against defendant it learned that defendant had a greater role in the alleged abuse. Virtually all the of the witnesses and evidence were available to the Commonwealth from the beginning of the prosecution. The only new evidence alleged was her husband’s preliminary hearing testimony. That testimony was merely cumulative and did not put the Commonwealth in a better position than it was before. The District Attorney’s Office as of Tuesday was planning to file an appeal in state Supreme Court in the case of a Pocono Summit woman freed from jail in August after her conviction was reversed on child endangerment charges. Krystal Surovcik, 24, was sentenced last December to four to 23 months in Monroe County Correctional Facility for endangering the welfare of her now 3-year-old son, whom her husband abused in March 2004. A jury found her guilty of letting her son, Jake, stay in an environment in which he was abused by his father, Travis Surovcik, 26. Prosecutors told Krystal Surovcik they would not charge her if she agreed to testify against Travis Surovcik, which she did, but they charged her anyway in June 2005. The District Attorney’s Office at the time said there was new evidence suggesting Krystal Surovcik had greater culpability in what happened to Jake. Surovcik eventually was convicted, but jury foreman Dayton Miller at the sentencing told the court he had made a mistake in his verdict, saying he didn’t fully understand the charges and penalties as explained by the judge. Miller said he and fellow jurors were not allowed to take notes and had to rely on memory, adding that he personally no longer was convinced the prosecution had proven Surovcik’s guilt beyond a reasonable doubt. Monroe County Court Judge Art Zulick said the law does not allow the court at sentencing to consider the issue of a juror saying his or her vote on a verdict was a mistake. And so, Surovcik was sentenced. 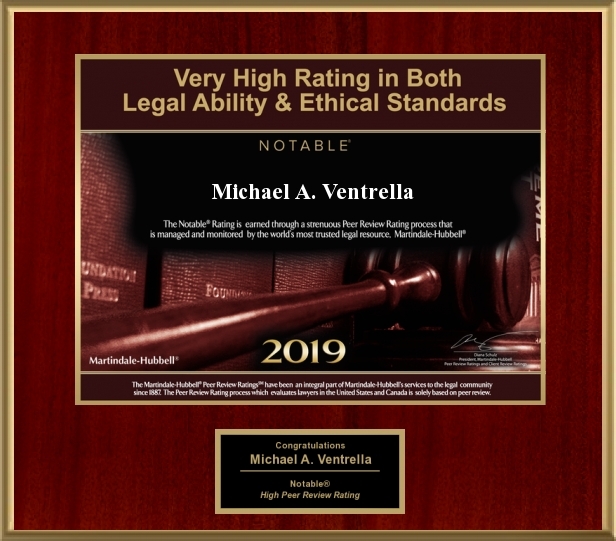 Defense attorney Michael Ventrella later won on appeal of Surovcik’s conviction in Superior Court, which reversed the lower court’s ruling and allowed Surovcik to go free. Assistant District Attorney Michael Rakaczewski then filed an appeal of that reversal, which the Superior Court recently denied. Rakaczewski said Tuesday he plans to file an appeal at the next level in Supreme Court, which will decide if it wants to consider the matter. The Surovciks were charged as the result of a police investigation, which began after Travis Surovcik’s parents noticed bruises on the baby. Travis Surovcik later pleaded guilty and served time, but then told police and prosecutors his wife had played a greater role than originally reported in what happened to the baby. The Pennsylvania Supreme Court refused to accept the DA’s appeal, and Krystal was freed.